This is the moving story of how John Dybvig — widely regarded as New Zealand’s loudest man — turned his life around after a trail of destruction that wrecked his relationships, more than 100 jobs and his health. This is no ordinary biography as the actor, writer and broadcaster reveals how he battled his wild man ways to eventually find his true self, and happiness as a 60–year–old house husband. We challenge you to read the first chapter and to not want to read the rest of this inspiring story. 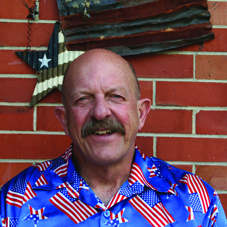 You might think you know John Dybvig but you won’t even go close to the truth. ‘Written with disarming honesty and frankness, Dybvig’s book is quite a revelation.’ – Graham Beattie, Beattie’s Book Blog. ‘Moving.’ – Let’s Travel Magazine. ‘Makes for a great read.’ – Greg Fleming, Editor, Bay to Bay Magazine. 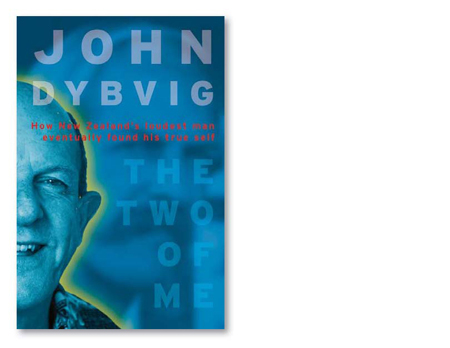 Kiwa Media have released a digital version of The Two of Me, enabling you to read it on your eReader or tablet, while listening to John Dybvig read his story to you. This audio/ebook version can be found at iTunes by clicking here. All John Dybvig’s books are available through Amazon.